As a result of Secret Wars, the Guardians of the Galaxy will be drawn to Knowhere, a base built inside the detached head of a Celestial (a race of ancient cosmic beings). Guardians of Knowhere is written as a mystery, drawing inspiration from the film Blade Runner. In the middle of this mystery, a new villain will be introduced for the team to deal with. 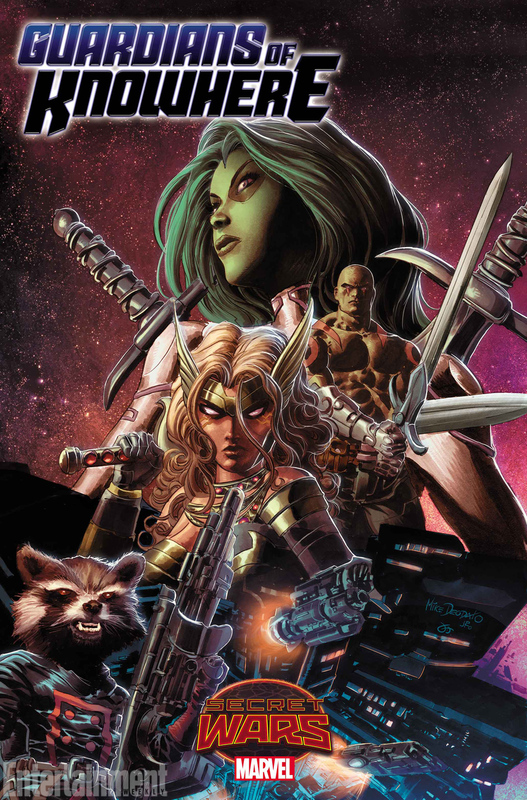 While the current Guardians team will all be involved, emphasis will be placed on Drax and Gamora. The series will be written by Brian Michael Bendis with Mike Deodato Jr. on art.